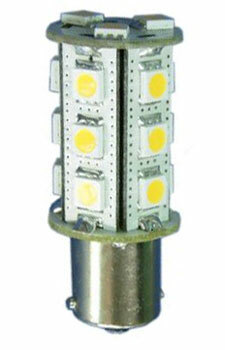 18 smd 12 Volt LED Bulb. 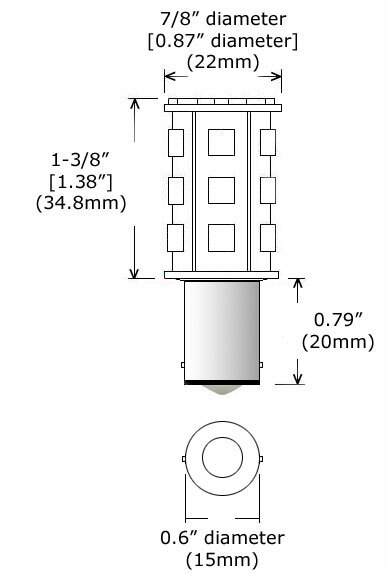 Slightly brighter than a 18.4 watt BA15S incandescent bulb, depending on the bulb quality, the fixture, the lens, and the quality of the reflector, if any. These 12 Volt LED Bulbs offer 360 degrees of light. 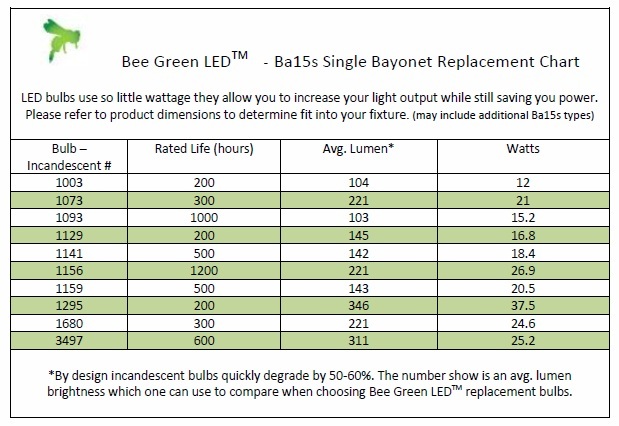 Bee Green 12 Volt LED BulbsTM are available in varous temperature colors including Warm White and Cool White. Red, Blue and Red-White combinations are also available for some styles (especially with the G4 style). All bulbs are typically 10-30v dc unless stated otherwise. (If you are looking for 12v AC bulbs please make an inquiry). The G4 and Bayonet series are fused for protection from entire circuit outage if one is compromised.